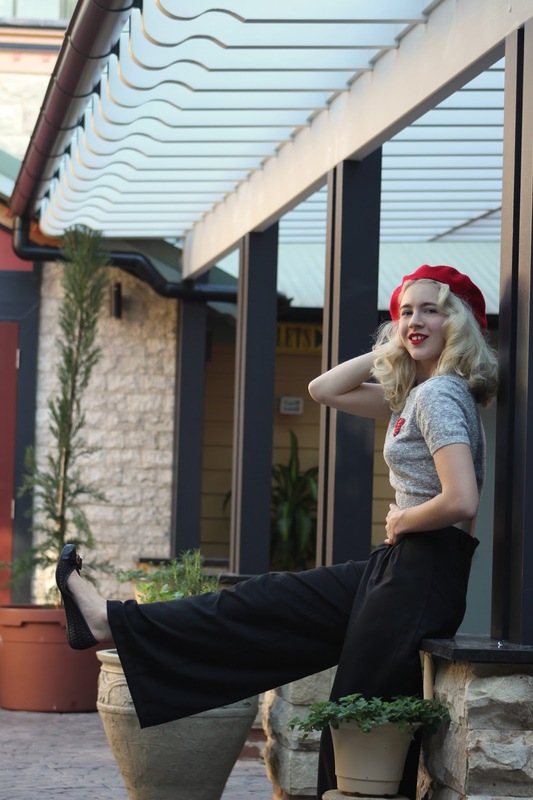 GracefullyVintage: Swing Pants and a Beret on Top! Not too long ago I blogged the houndstooth version of these trousers (see here), these ones come with the detachable suspenders as well. I am wearing size xs (UK8) and they fit my 25 inch waist well with a tiny bit of extra room... I find they fit true to size. 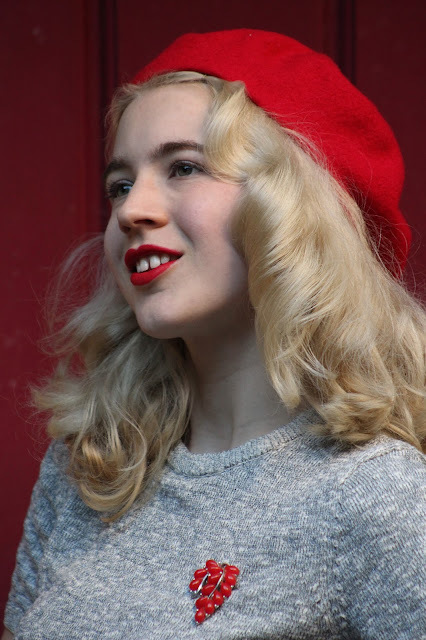 I wear UK8 in all Collectif clothing, however, I usually size up in coats (that's the case for any brand of coat I buy), I love to have room for layers and movement. For someone who loves to jump around, dance and all that jazz, these pants do not restrict me haha! I've already styled them in so many ways, so it was important to purchase the black pants as they go with just about everything! Hi, I thought I had commented before, but probably my phone ate the comment... Would you say the trousers run the same as the houndstooth then? There's a sizing note on the latter on Collectif's site, but not on the black. I went up to a 10 in the houndstooth (I'm usually an 8, but have a bit of a hip, bum and thigh) and they're a bit loose in the waist, but otherwise a good, comfortable fit. I really like the look of these trousers but I do not think I would be brave enough to try swing trousers yet . I am still fairly new to trouser wearing having previously been a skirts/dresses only girl! Seriously fabulous outfit - you look wonderful!!! I love the colour combo at work here. It is my unofficial winter uniform (sometimes with white added into the mix) and a palette that never fails to inspire me.